What Are the Most Common Plumbing Mistakes Homeowners Make? Modern plumbing systems are designed to be as hands-off and stress-free as possible. And while most systems are built and equipped to last for many years with minimal maintenance and repairs, they can require more frequent service calls due to accidents and misuse. Generally, keeping your home’s plumbing in good condition only requires common sense and a bit of precaution. However, we know that there are plenty of harmful day-to-day activities in kitchens and bathrooms that can cause major plumbing headaches—and many homeowners aren’t aware of just how damaging these activities can be for their pipes. It’s easy to get complacent about your plumbing, especially if it has run flawlessly for years. But all it takes is one slip-up to cause a clogged sink, an overflowing toilet, or a leaking bathtub. Garbage disposals are highly convenient and make washing dishes in the sink a breeze. However, it’s important to be careful when you use them to dispose of food. Avoid placing fibrous food materials, like corn husks, celery stalks, and onion skins inside of them, as the fibers can jam the motor and block the drain. In addition, you should also avoid putting expandable foods like rice and pasta in your disposal to avoid blockages. 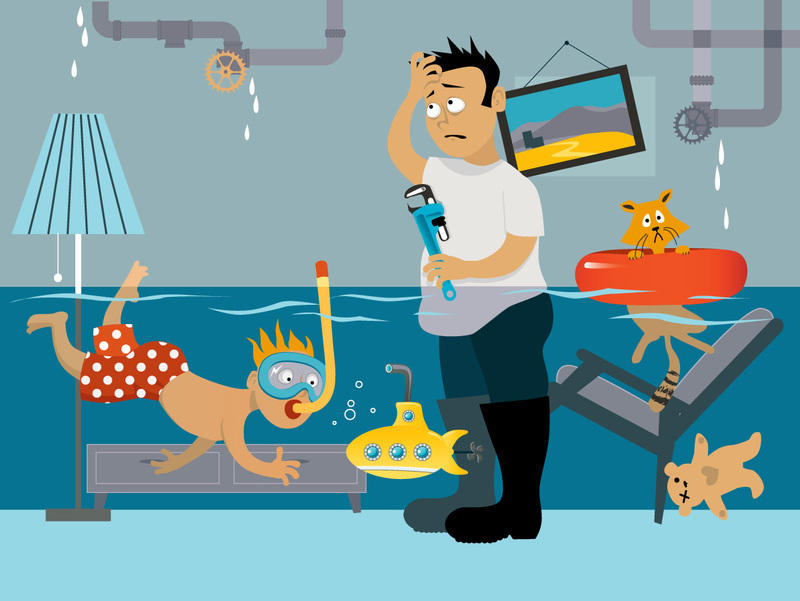 When something is starting to go bad with your plumbing, chances are, you’ll know it right away. And in many cases, those early warning signs are all that’s remaining between your pipes and a flooded bathroom or kitchen. If you notice persistent clogging, decreased water flow and pressure, or sudden dampness in a specific part of your lawn, contact a plumber right away. Early repairs can save you thousands of dollars and a big headache. Chemical drain cleaners are sometimes effective at clearing minor clogs in showers and tubs, but they are extremely harsh on your pipes and the environment. Using these chemicals on a regular basis can weaken pipes by corroding their inner lining. If you’re looking for a home-based solution, try using a mixture of baking soda, vinegar, and hot water down your drain. For tougher clogs or clogs that keep coming back, consult a plumber. Fixing a leaky faucet or tightening a loose valve in your toilet are simple tasks that don’t carry many risks, but major repairs should be left to the experts. Fixing most plumbing issues—or completing renovations that involve plumbing—requires in-depth knowledge of pipes and water flow, not to mention the specialized equipment and experience that it takes to get the job done correctly. Need a Houston Plumber? Contact Aqueduct Plumbing Company. Whether you need someone to fix a plumbing issue, install a new water heater, or assist you with your home building, renovation, or remodeling project, you need the expertise and experience offered by Aqueduct Plumbing Company. We take pride in our work and the services we provide to people throughout the Houston area. Get in touch with us today by calling (281) 488-6238.